The term “proprioception” is defined as the conduction of sensory information deriving from proprioceptors that have an impact on conscious sensations, posture and trans-segmental sense. An ACL injury may lead to functional knee joint instability. According to research, this may result in impaired movement sensation and joint position. The purpose of this study was to evaluate the joint position sense (JPS) in patients before arthroscopic ACL reconstruction and 5 months after the surgery. The examinations were conducted in a group of twelve specifically selected male patients. The examination procedure consisted of JPS measurement in both lower limbs (the operated and the healthy one) during active extension in a range of angles: 30, 45, 60°. The level of significance was: p &lt; 0.05. The analysis of variance performed for repeated measurements (ANOVA) did not indicate any statistically significant differences of JPS in comparisons made between the operated and the healthy limb. Statistical values for the absolute, relative, and variable errors were p = 0.7684, p = 0.1546, p = 0.5694 respectively. The obtained results do not indicate any limitation of proprioception in patients with ACL injury before the intervention or half a year later. 2. Barrack R.L., Skinner H.B., Buckley S.L. Proprioception in anterior cruciate deficient knee. Amer J Sports Med. 1989; 17: 1–6. 3. Barrett D.S. Proprioception and function after anterior cruciate ligament reconstruction. J Bone Joint Surg Br. 1991; 73B (5): 833–837. 4. Beard D.J., Kyberd P.J., Fergusson C.M., Dodd C.A.F. Reflex hamstring contraction latency in anterior cruciate ligament deficiency. J Orthop Res. 1994; 12 (2): 219–228. 5. Beynnon B., Renstrom A., Konradsen L., Elmqvist L., Gottlieb D., Dirks M. Validation of Techniques to Measure Knee Proprioception. In: Proprioception and Neuromuscular Control in Joint Stability. Eds.L.M. Lephart, F.H. Fu. 2000; 127–138. 6. Bonfim T.R., Jansen Paccola C.A., Barela J.A. Proprioceptive and behavior impairments in individuals with anterior cruciate ligament reconstructed knees. Arch Phys Med Rehabil. 2003; 84: 1217–1223. 7. Brindle T.J., Lebiedowska M.K., Miller J.L., Stanhope S.J. The influence of ankle joint movement on knee joint kinesthesia at various movements on knee joint. Scand J Med Sci Sports. 2010; 20 (2): 262–267. 8. Carter N.D., Jenkinson T.R., Wilson D., Jones D.W., Torode A.S. Joint position sense and rehabilitation in the anterior cruciate ligament deficient knee. Br J Sports Med. 1997; 31: 209–212. 9. Co H.F., Cannon W.D. Effect of reconstruction of the anterior cruciate ligament on proprioception of the knee and the heel strike transient. J Orthop Res. 1993; 11: 696–704. 10. Fischer-Rasmussen T., Jensen P.E. Proprioceptive sensitivity and performance in anterior cruciate ligament-deficient knee joints. Scand J Med Sci Sports. 2000; 10: 85–89. 11. Fremerey R.W., Lobenhoffer P., Zeichen J., Skutek M., Bosch U., Tscherne H. Proprioception after rehabilitation and reconstruction in knees with deficiency of the anterior cruciate ligament. J Bone Joint Surg Br. 2000; 82B: 801–806. 12. Good L., Roos H., Gottlieb D.J., Renstrom P.A., Beynnon B.D. Joint position sense is not changed after acute disruption of the anterior cruciate ligament. Acta Orthop Scand. 1999; 70: 194–198. 13. Grinsven S. Van, Cingel R.E.H. Van, Holla C.J.M., Loon C.J.M. Van. Evidence-based rehabilitation following anterior cruciate ligament reconstruction. Knee Surg Sports Traumatol Arthrosc. 2010; 18: 1128–1144. 14. Harter R.A., Ostering L.R., Singer K.M. Knee joint proprioception following anterior cruciate ligament reconstruction. J Sport Rehab. 1992; 1: 103–110. 15. Johansson H., Sjolander P., Sojka P. A sensory role for the cruciate ligaments. Clin Orthop Rel Res. 1991; 268: 161–177. 16. Lephart S.M., Pincivero D.M., Giraldo J.L., Fu F.H. 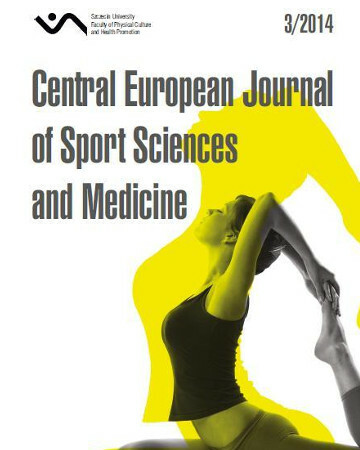 The role of proprioception in the management and rehabilitation of athletic injuries. Amer J Sports Med. 1997; 25: 130–140. 17. Lephart S.M., Riemann B.L., Fu F.H. Introduction to the sensorimotor system. In: Proprioception and Neuromuscular Control in Joint Stability. Eds. S.M. Lephart, F.H. Fu. Human Kinetics. Champaign, IL. 2000; 37–51. 18. MacDonald P.B., Hedden D., Pacin O., Sutherland K. Proprioception in anterior cruciate ligament-deficient and reconstructed knees. Am J Sports Med. 1996; 24: 774–778. 20. O’Connell M., George K., Stock D. Postural sway and balance testing: a comparison of normal and anterior cruciate ligament deficient knees. Gaite Posture. 1998; 8: 136–142. 21. Olsson L., Lund H., Henriksen M., Rogind H., Bliddal H., Danneskiold-Samsoe B. Test-retest reliability of a knee joint position sense measurement method in sitting and prone position. Advances in Physiotherapy. 2004; 31 (3): 198–201. 22. Rehm A., Llopis-Miro R., Turner P.G. The relationship between proprioception in the knee and the need for ligament reconstruction in the anterior cruciate ligament deficient knee. Knee. 1998; 5: 199–202. 23. Reider B., Arcand M.A., Diehl L.H., Mroczek K., Abulencia A., Stroud C.Ch., Palm M., Gilbertson J., Staszak P. Proprioception of the knee before and after anterior cruciate ligament reconstruction. Arthroscopy. 2003; 19 (1): 2–12. 24. Skinner H.B., Barrack R.L. Joint position sense in the normal and pathologic knee joint. J Electromyogr Kinesiol. 1991; 1 (3): 180–190.